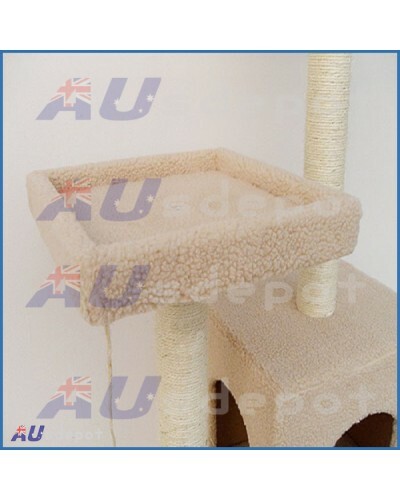 Our latest cat tree is the ultimate home for any cats. It combines scratching, perching, chasing, climbing and just plain fun all in one piece. 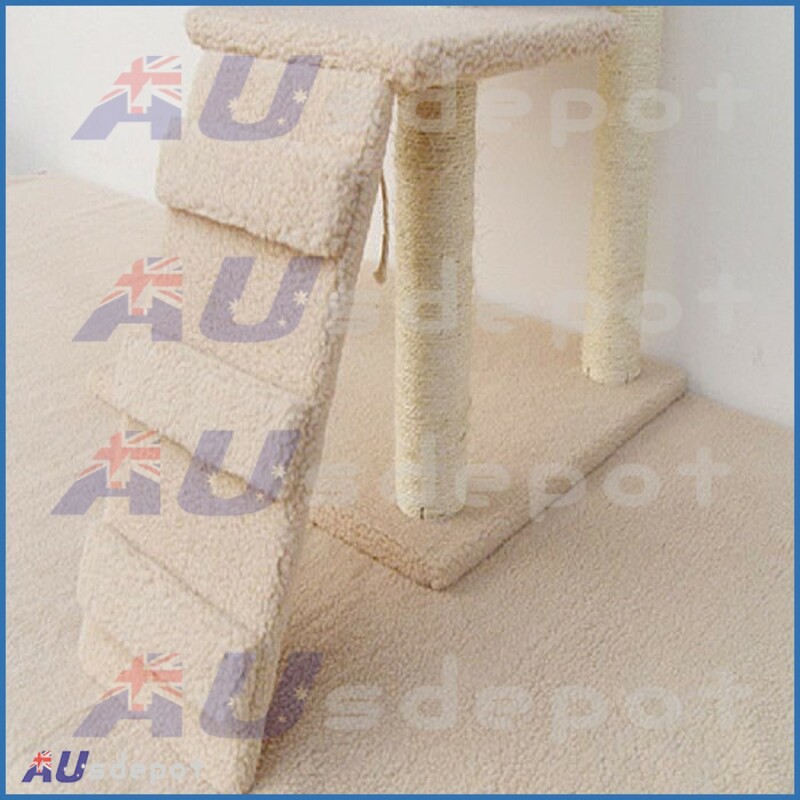 The double platform allows your cats to jump around; and the plush carpeted surface provides extra comfort. There is a resting box at the bottom of the tree to provide some shelter. The tubes are wrapped with sisal ropes for your pets to scratch and play with. The sturdy base prevents any swaying so it is safe on any flat surface so you do not have to worry about injury to your cat. 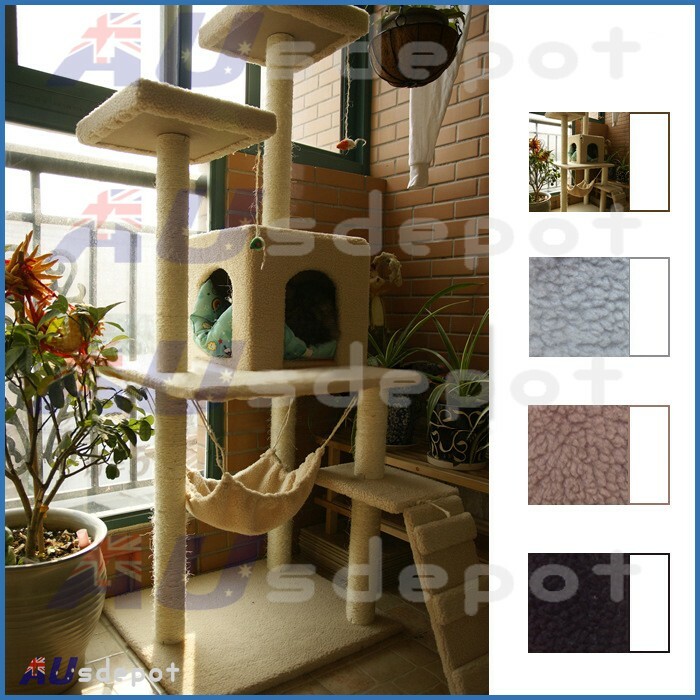 The stylish cat tree will blend in with your decor. 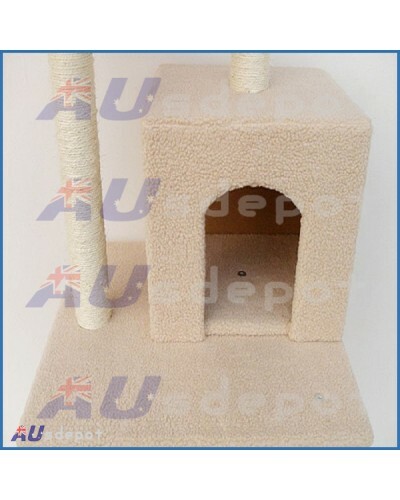 Get your cats the latest scratching tree to prevent them from scratching your luxurious furniture! 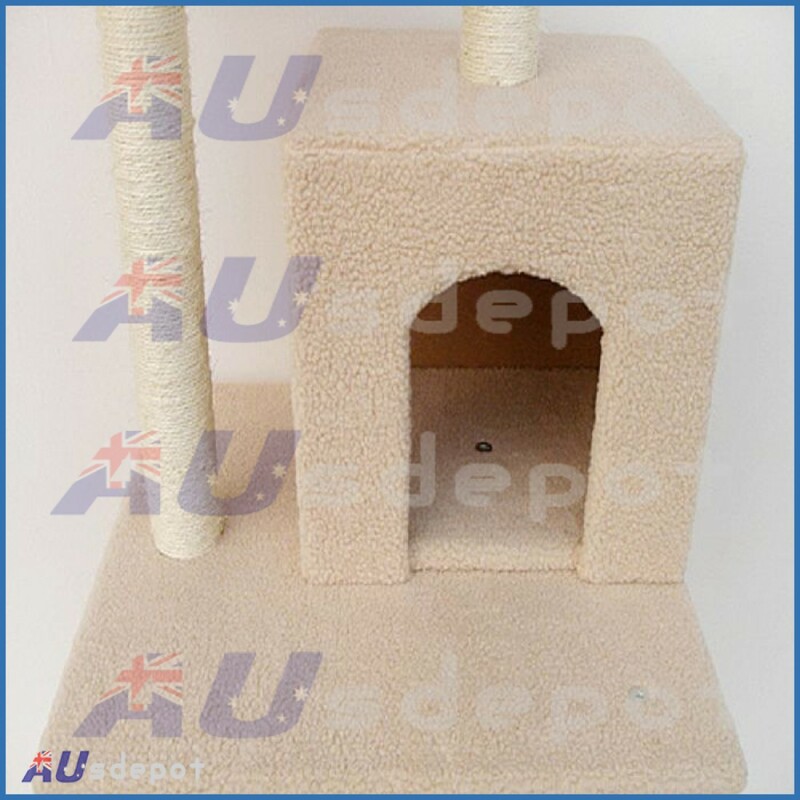 New Cat Scratching Poles Tree Our latest cat tree is the ultimate home for any cats. It combines scratching, perching, chasing, climbing and just plain fun all in one piece. 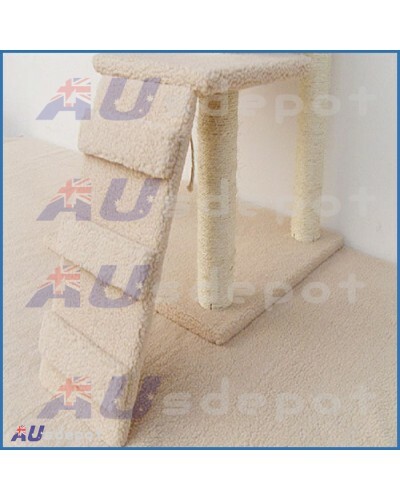 The double platform allows your cats to jump around; and the plush carpeted surface provides extra comfort. There is a resting box at the bottom of the tree to provide some shelter. The tubes are wrapped with sisal ropes for your pets to scratch and play with. The sturdy base prevents any swaying so it is safe on any flat surface so you do not have to worry about injury to your cat. The stylish cat tree will blend in with your decor. 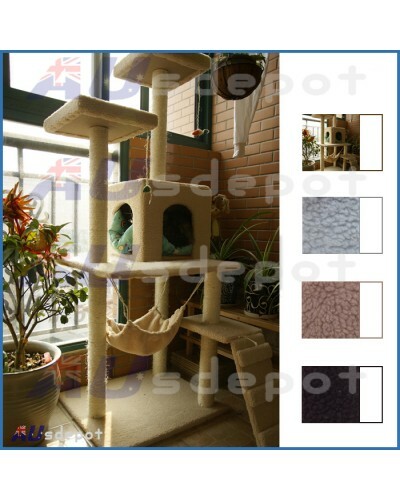 Get your cats the latest scratching tree to prevent them from scratching your luxurious furniture!